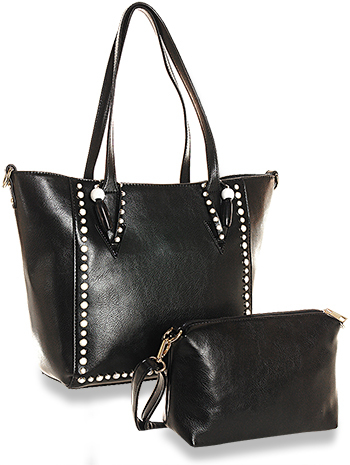 This tote handbag features unique, white contrasting studs.The dual carrying straps with 9.5in drop length include stud and bead accents. The set also has a smaller bag (9.5L x 6H x 3.5W) that is fully lined. Also included is a detachable shoulder strap with 21in adjustable shoulder strap for use with either item.